This is the Advanced 5K Training Program. Are you ready for it? Only a small percentage of runners have trained hard enough before or have the natural ability to succeed with a plan this difficult.. If you are a seasoned veteran of the running wars, an individual who has been running for several years and who has run numerous 5K races and races at other distances, there comes a time when you want to seek maximum performance. Regardless of your age or ability, you would like to run as fast as you possibly can. You want a training program that will challenge you. Here it is! Advanced 5K is aimed, first, at runners who want to train fast but short, whose main focus is on short-distance races. But the program also is useful as a prelude to a more endurance-based program aimed at a full or half marathon. Thus, Advanced 5K is a specialty program, useful for your improvement as a runner. IF YOU’RE A SEASONED VETERAN OF THE RUNNING WARS, an individual who has been running for several years and who has run numerous 5K races and races at other distances, there comes a time when you want to seek maximum performance. Regardless of your age or ability, you would like to run as fast as you possibly can. You want a training program that will challenge you. Here it is! Let me state what you probably know already. To achieve maximum performance, you need to improve your endurance and your speed. You can do this by (1) running more miles, (2) running faster, or (3) some combination of both. The following Advanced schedule is a much more sophisticated training program than that offered to Novice Runners or to Intermediate Runners. In order to achieve full benefit from this program, before starting you probably need to be running 4-5 days a week, 20-30 miles a week or more, and at least have an understanding of the concepts of speedwork. If not, drop back to one of the other programs. Here is the type of training you need to do, if you want to improve your 5K time. For additional help with your training, consider signing up for the interactive version available from TrainingPeaks. I will send you daily email messages telling you what to run and also offer tips to improve your performance. Fast: For the Saturday runs, I suggest that you run “fast.” How fast is “fast?” Again, that depends on your comfort level. Go somewhat faster than you would on a “run” day. If you are doing this workout right, you probably do not want to converse with your training partner, assuming you have one. It’s okay now to get out of breath. Long Runs: Once a week, go for a long run at an easy pace. (Notice use of the word “easy!”) Run between 60 and 90 minutes at a comfortable pace, not worrying about speed or distance. Think minutes rather than miles, which allows you to explore different courses that you have not measured, or run in the woods where distance is unimportant. You should be able to carry on a conversation while you run; if not, you’re going too fast. Don’t be afraid to stop to walk, or stop to drink. This should be an enjoyable weekend run, not one during which you punish yourself. Interval Training: To improve your speed, train at a pace somewhat faster than your race pace for the 5K, about the pace you would run in a 1500 meter or mile race. Run 400 meters hard, then recover by jogging and/or walking 400 meters. A second variation is to run 200 meter repeats at 800 race pace with 200 jogging between. Before starting this workout, warm up by jogging a mile or two, stretching, and doing a few sprints of 100 meters. Cool down afterwards with a short jog. 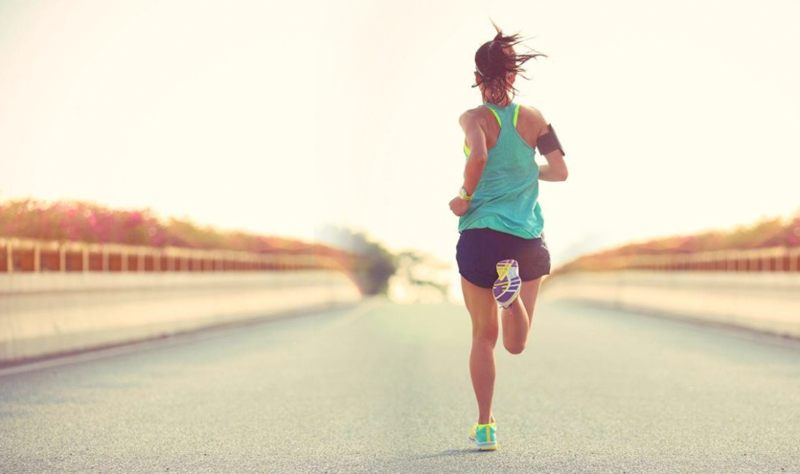 Tempo Runs: This is a continuous run with an easy beginning, a build-up in the middle to near 10K race pace (or slightly slower than your pace in a 5K), then ease back and slow down toward the end. A typical Tempo Run would begin with 5-10 minutes easy running, build gradually to 3-5 minutes at 10K pace, then 5-10 minutes cooling down. You can’t figure out your pace on a watch doing this workout; you need to listen to your body. Tempo Runs are very useful for developing anaerobic threshold, essential for fast 5K racing. Stretch & Strengthen: An important addendum to any training program is stretching. Don’t overlook it–particularly on days when you plan to run fast. Strength training is important too: push-ups, pull-ups, use of free weights or working out with various machines at a Health Club. Runners generally benefit if they combine light weights with a high number of repetitions, rather than pumping very heavy iron. Mondays and Wednesdays would be good days to combine stretching and strengthening with your easy run, however, you can schedule these workouts on any day that is convenient for your business and personal schedule. Also, it’s usually best to lift after your run, rather than before. The run thus becomes a warm-up for your gym work. Rest: You can’t train hard unless you are well-rested. The schedule includes one designated day of rest (Friday) when you do nothing and a second day (Wednesday) when you have an option to also take a day off. The easy 3-mile runs scheduled for Mondays are also to help you rest for the next day’s hard workout, so don’t run them hard! The final week before the 5K also is a rest week. Taper your training so you can be ready for a peak performance on the weekend. Racing: Some racing is useful to help you peak. Consider doing some other races at 5K to 10K distances to test your fitness. The following schedule includes a test 5K race halfway through the program. You could race more frequently (once every two weeks), but too much racing is not a good idea. The schedule below is only a guide. If you want to do your long runs on Saturday rather than Sunday, simply flip-flop the days. If you have an important appointment on a day when you have a hard workout planned, do a similar switch with a rest day. It’s less important what you do in any one workout than what you do over the full eight weeks leading up to your 5K. Also, consider signing up for the Virtual Program for more detailed information on what to run each day and tips for your training. RUN FAST: For more information on training for 5K races (including other training methods), order a copy of my book Run Fast. It includes detailed information on form, flexibility, speedwork and strength training. 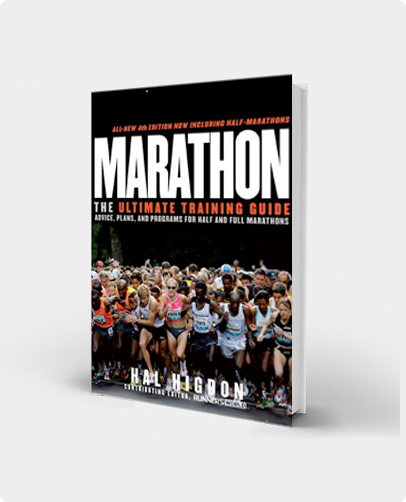 This book will make you a faster runner. 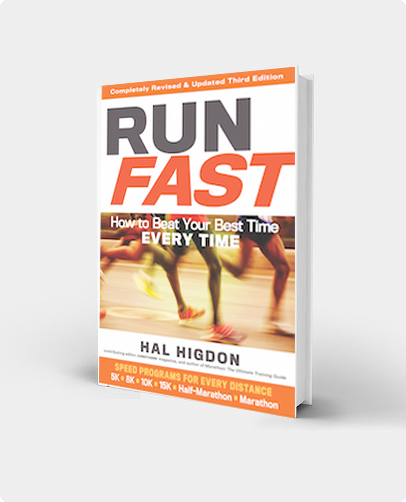 Click here to order a copy of Run Fast or other Hal Higdon books. very good and useful program for 5 K.